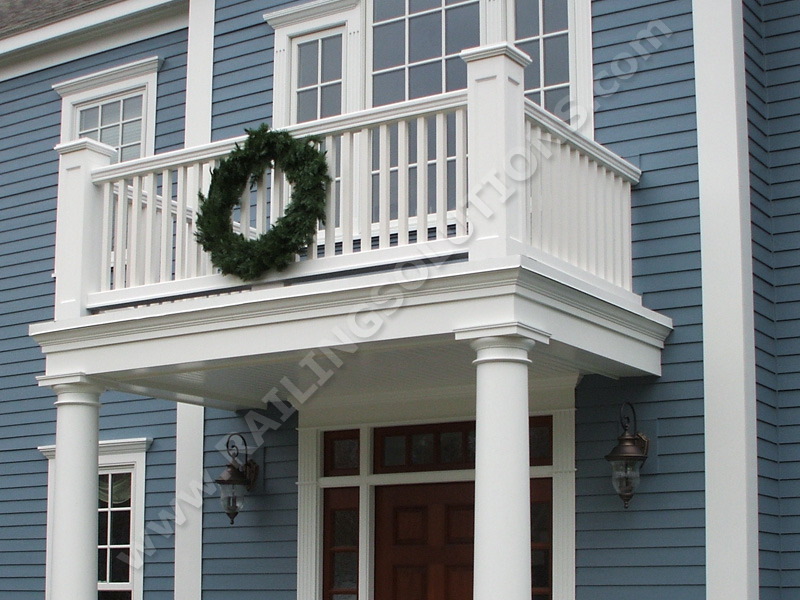 Welcome to RAILING SOLUTIONS, the Greater Boston full-service supplier for high-quality, low-maintenance railings and balusters for your home. 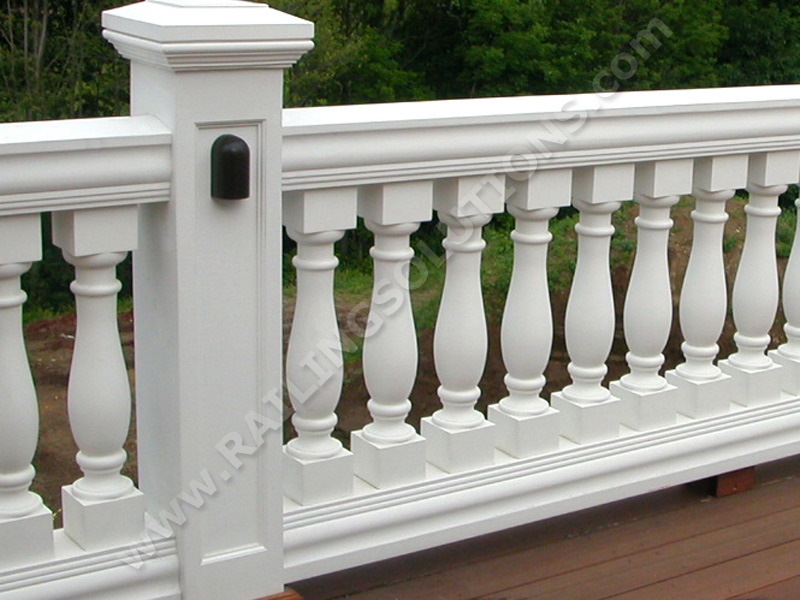 We design and build railing and baluster systems for your deck, porch and balcony. 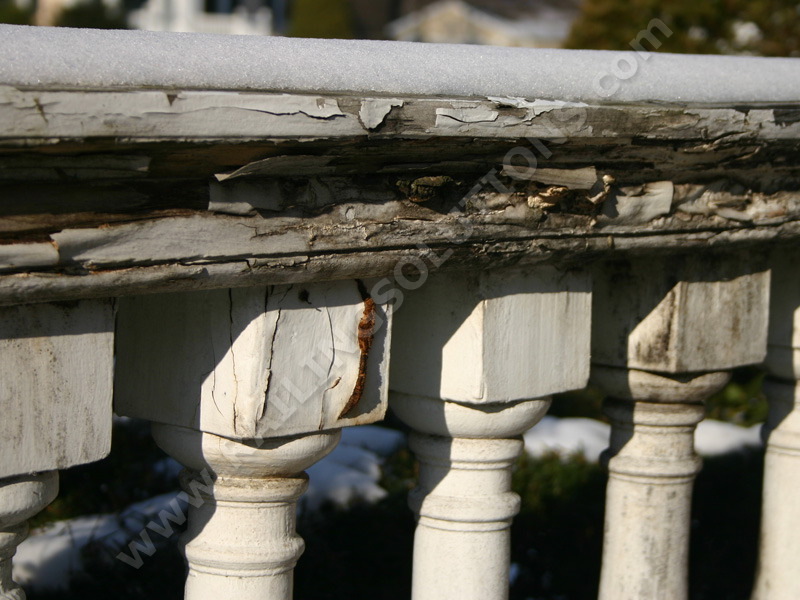 Our durable state-of-the-art materials are the perfect replacement solution to rotten railing, peeling paint and constant maintenance. Wood railing with peeling paint, mold and fungus. Railing replacement in polyurethane looks and feels like wood. 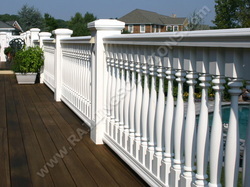 Railing Solutions offers a wide selection of railing styles and materials to suit your design requirements and budget. Durable, low-maintenance railings and balusters that resist the elements and look great, year after year. 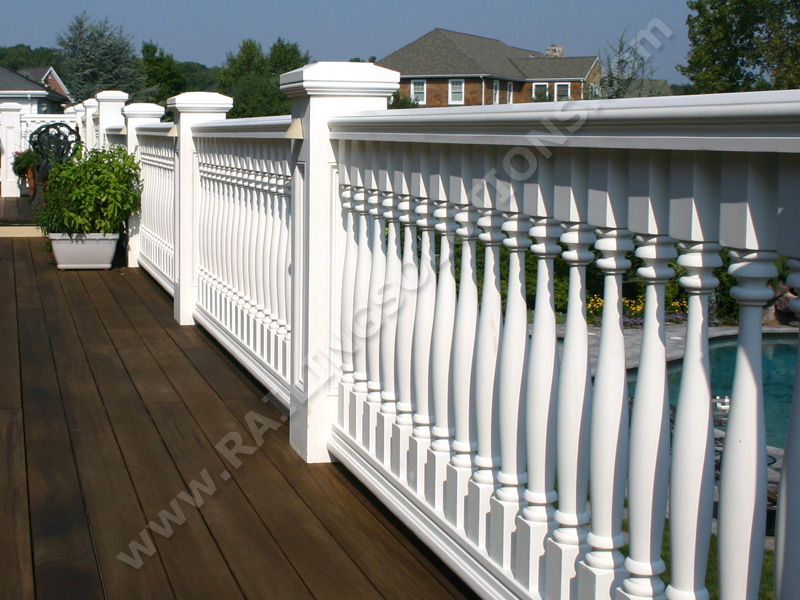 These railing systems will never rot or degrade over time. An array of styles in a variety of materials, including Polyurethane, PVC and Composite that don’t look like plastic! Custom railing and baluster designs available, if we don’t stock it we can make it. Our design-build, full-service approach extends far beyond simply supplying your porch and deck railings. On-site consultation and evaluation to ensure that the railing you select is the best fit for your home. 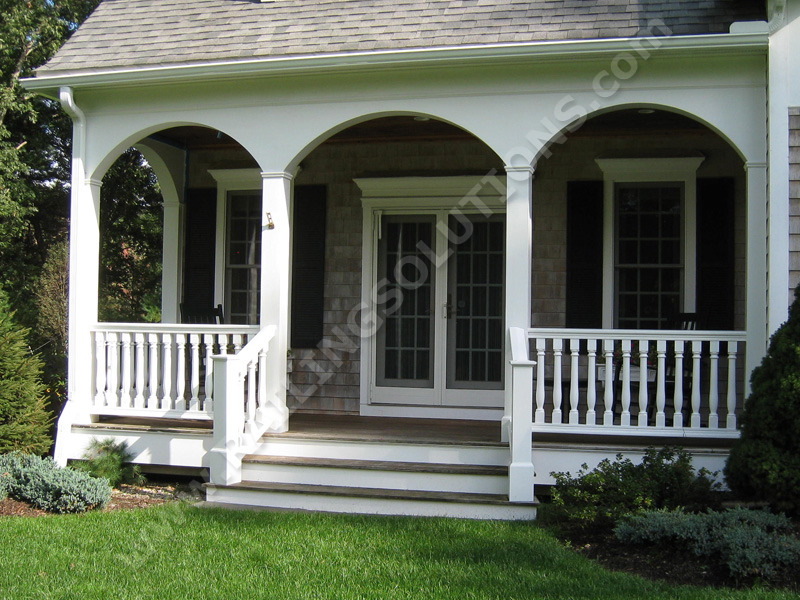 Our Boxborough showroom offers a wide range of deck and porch railing ideas. In-house design and fabrication by our team of professionals. Professional installation by our own experienced and fully insured crew. We guarantee your new railing will never rot! 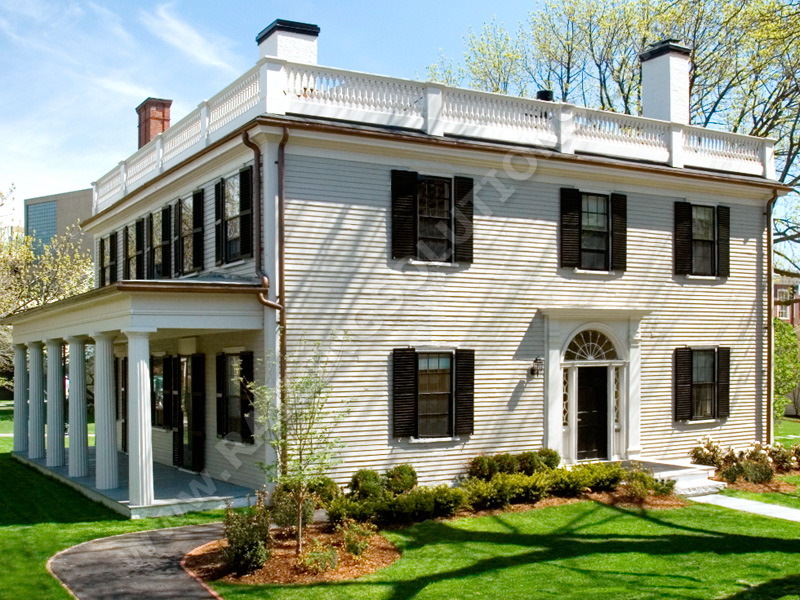 The Railing Solutions team has been supplying New England customers with excellent synthetic railing systems for over 20 years. 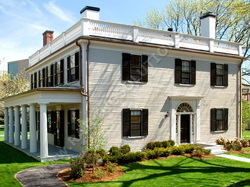 Our parent company, Architectural Elements, is the leading full-service supplier of synthetic millwork products in New England. Our knowledge, experience and reputation for customer commitment are second to none. Please browse our site, check out the many beautiful railing system pictures and then contact us for a consultation. We look forward to working with you!